CLINTON CAMPAIGN TAPS AL GORE TO HELP SOLVE THEIR MILLENNIAL PROBLEM | "Global Possibilities"
Reporter at ThinkProgress. They can engage young voters who care about climate change. Former vice president Al Gore knows a thing or two about climate change. He also happens to have had a very personal — and public — experience with the power of third party voters. So when Hillary Clinton’s presidential campaign needed someone to help them galvanize Millennial support — a demographic the Democratic candidate has struggled to win over, and one that tends to be especially engaged with climate change — it makes sense they would turn to Gore. Since losing the 2000 presidential election to George W. Bush, Gore has become a stalwart advocate for climate action, most notably with the 2006 documentary An Inconvenient Truth. 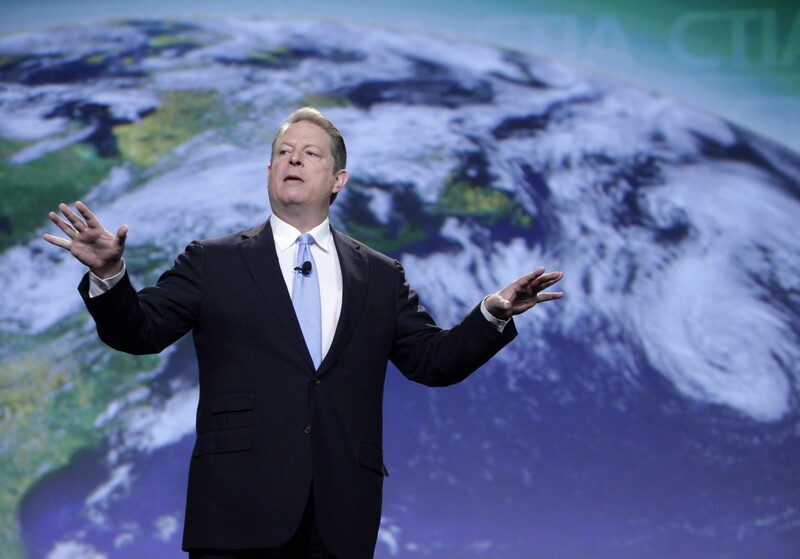 But will having Gore’s help be enough to woo young environmentalists? Sarah Burton, national PAC director for the Sierra Club, praised the move, arguing that the more people that talk about climate change, the more engaged young voters are likely to become. Still, some are skeptical that Gore’s support will be enough for Clinton to engage young voters worried about the climate crisis. Many young voters are too young to have voted in the 2000 election, and some might not even remember the role Ralph Nader played in tipping the swing state of Florida in Bush’s favor. Clinton has faced some criticism from the left — especially among climate activists — for pivoting away from climate change after she sealed the party nomination this summer. According to a Guardian report, Clinton only mentioned climate change in eight out of 38 speeches given between July and September. In contrast, her primary opponent, Sen. Bernie Sanders (I-VT), has been a visible champion of climate action, endorsing legislation that would put an end to new leases for fossil fuel extraction on public lands, and speaking publicly in support of protesters challenging the Dakota Access Pipeline. Clinton has yet to publicly take a position on the controversial pipeline, something progressive groups have pressed for in recent weeks. She also faced criticism for failing to mention climate change in an online pitch to Millennials published in Mic. In recent weeks, Clinton seems to have adjusted her strategy, mentioning climate change without prompting in the first presidential debate, which allowed her to outline her plan for creating jobs through renewable energy. (Donald Trump, for his part, used his time during the debate to deny that he ever called climate change a hoax — a claim he has made multiple times). Trump denies he claimed climate change is a Chinese hoax. He’s lying. Equally important as trusted surrogates, however, is how Clinton responds to climate-related events, like the 1-in-550 year flood that hit Louisiana this summer, or Hurricane Matthew, that is currently on track to hit Florida this week. ClimateHawk’s Johnson spoke of how Superstorm Sandy had an impact on climate votes in the 2012 election, by showing voters how each candidate responded to a real-time consequence of climate pollution.